With so many beautiful places to say “I Do” in Yorkshire we decided to look at possible options for chauffeur-driven Yorkshire Wedding Car Hire. Yorkshire and the Humber, the largest UK county by far. The county spreads from the Pennines to the North Sea Coast and from the Tees to Sheffield. Imagine your wedding photo album with The Mountains of the Yorkshire Dales, or by the Water as a backdrop. The well-known friendliness of the folk of Yorkshire will enrich your day and create life-time memories whatever venue you decide upon. Yorkshire has so many differing venue styles to offer from Stately Homes to Castles and from Churches to Abbeys. Selby Abbey being one of the most outstanding anywhere in England. Decorating the wedding car is a fun tradition however make sure you keep some control as if it is applied incorrectly it could damage the car or possibly offend wedding guests. Over the past 20 years we have heard many stories, some rather funny and original and some about wedding car decoration which has been rather costly, and embarrassing. 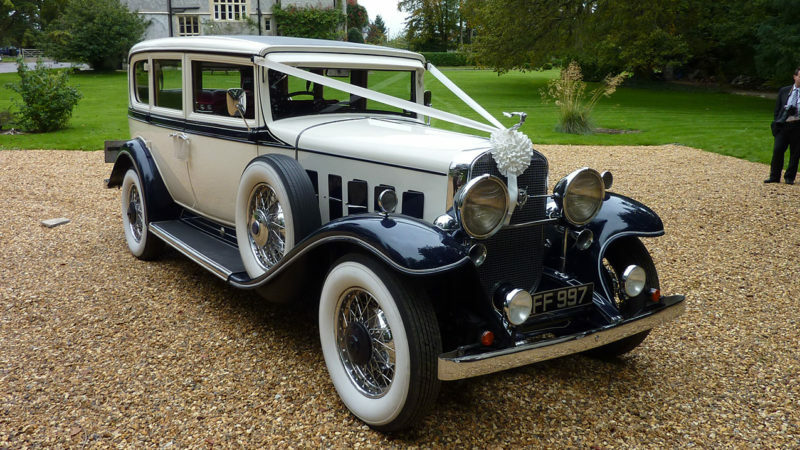 Here at Premier Carriage we have an extensive range of Vintage and Classic wedding transport for your use. We have a number of unique, rare and unusual vehicles for hire. 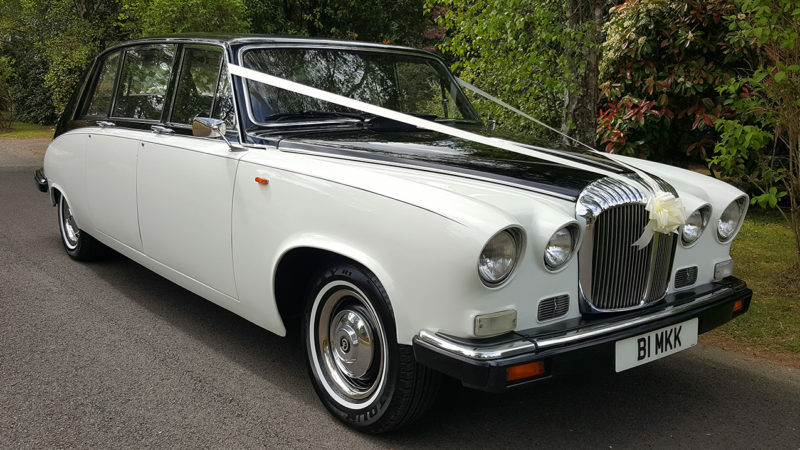 Traditionally, wedding cars were a Rolls Royce or a Jaguar, but as times have moved on so has the Wedding Car Hire Industry. There is now a wide range of cars available for hire, ranging from the birth of the motor car with the 1904 Oldsmobile Curved Dash Open Tourer replica to the famous 1979 Yellow USA Checker Cab.